If you are a designer working on iPhone or iPad mockups for an app, then using a GUI kit is a neat shortcut to helping you speed up the design process. 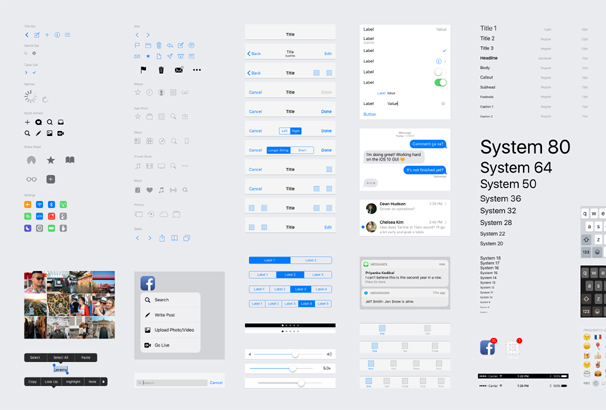 You can use a mockup template GUI kit which contains all the elements that come with the operating system so you dont have to create each one or take screenshots etc, you can simply drag and drop them into place – saving you time and money. 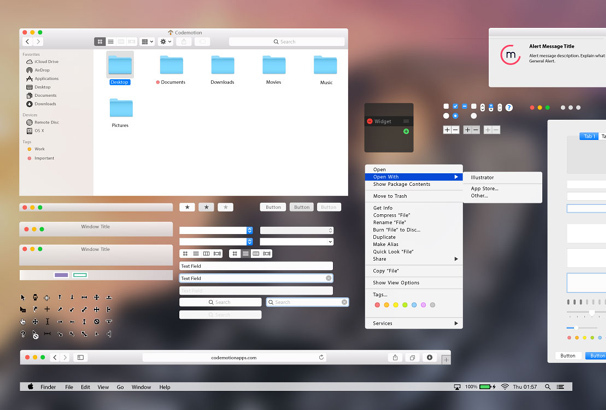 There are a large number of GUI kits available so we have saved you the time of searching them out by gathering together over 30 of the best examples in this post. Below you will find kits for different models of iPhone, ipad in downloadable format PSD for Photoshop and also Sketch if you prefer to use that. 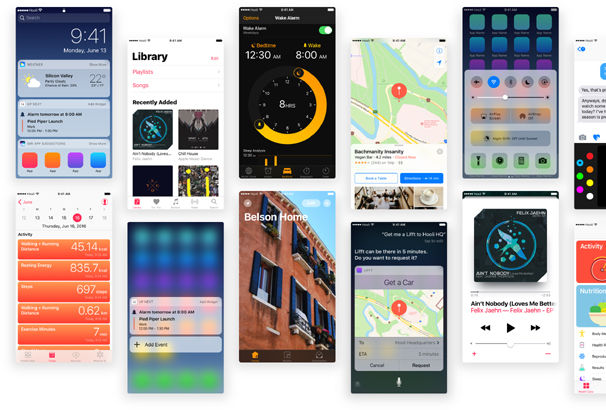 We have also included some kits which contain different UI elements which you can use in the app design itself as well as the standard buttons, icons, toggles etc which form the iOS operating system itself. 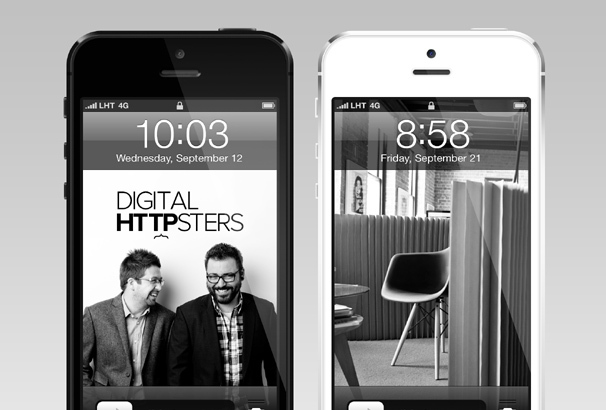 This beautiful mockup template is perfect for iOS 7 iPhone apps design. You’re getting all the PSD files in this freebie. 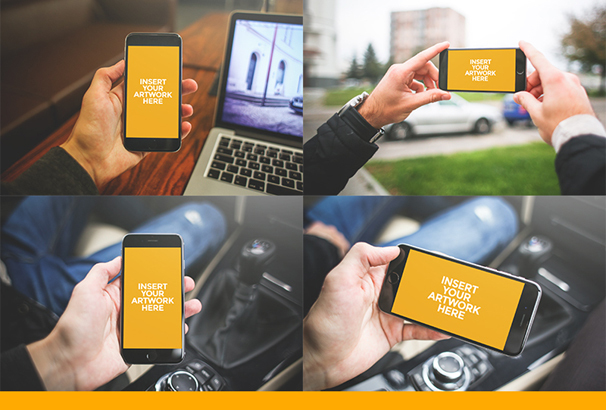 This mockup template will help you to design iOS app very easily. The freebie was designed by Kim Ruelo. This beautiful Facebook iOS 9 PSD was released by Jeff Smith. You’re getting full layered and sketch templates in this pack. 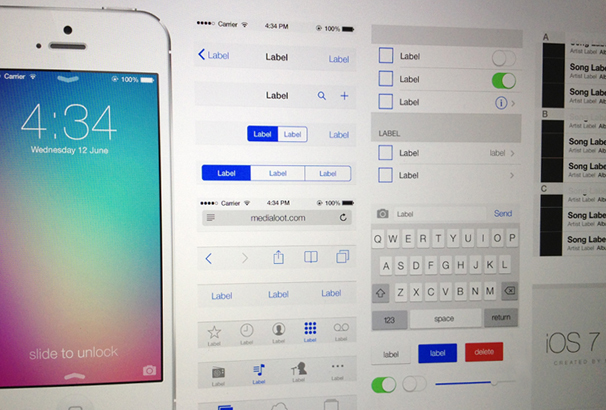 Start designing any iOS 7 apps today with this comprehensive GUI kit for Photoshop. 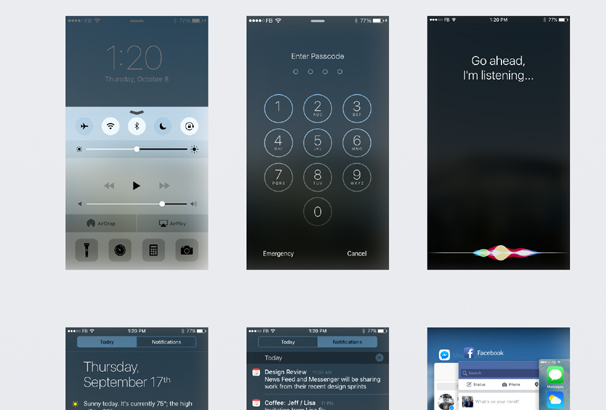 This exclusive iOS 7 UI kit was developed by Medialoot and you are allowed to use it for free. 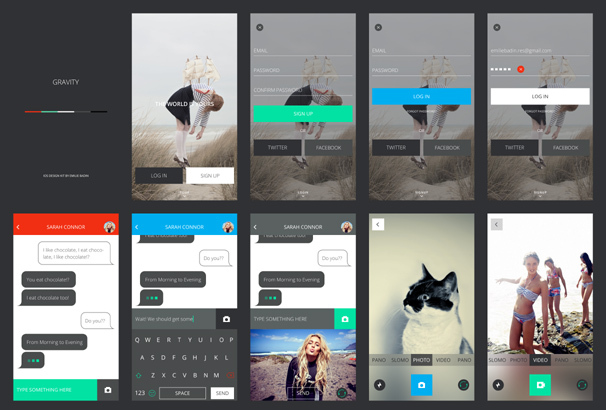 Gravity UI – Free Download is an another remarkable free UI Kit design made by Emilie Badin. You can develop any mobile app using this freebie. You’re getting well-organized PSD file in this freebie. All the files are easily editable and available in a single PSD file. 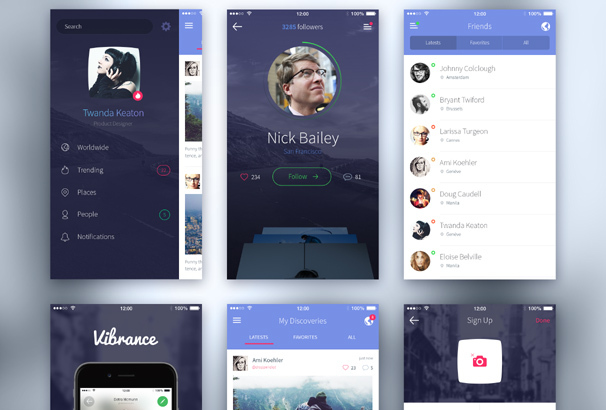 This iPhone free UI kit contains 6 screens in the single PSD file. You’re getting only PSD file in this freebie pack. This freebie crafted and released by Adrian Chiran. Feel free to download it and use it for any commercial or personal purpose. Use this GUI to simplify your designing or mocking up the process. 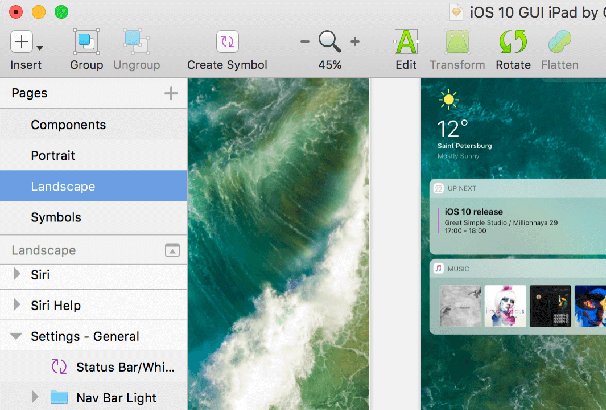 It‘s organized with easy to understand labels, making it useful for designers to show off their new app icon, or their new app within iOS 10 user interface context. 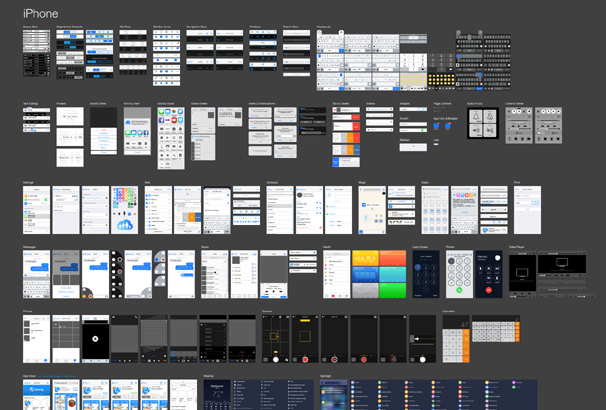 It contains a new massive collection of core components with Sketch resizing options and 26 new screens (62 in total). Also, you are able to use Symbols, Shared styles and improved Text styles. 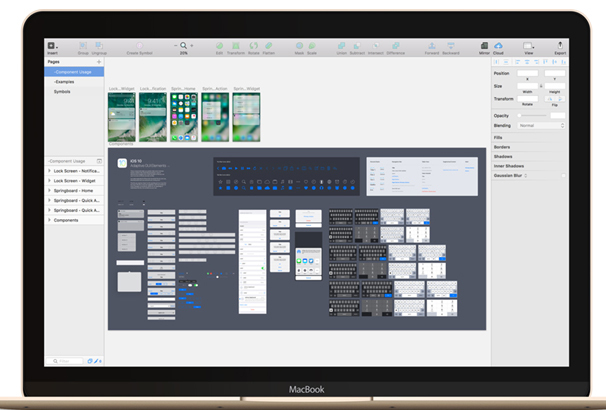 By using this UI kit set, you can create more complete, more up-to-date, more accurate, and more thoughtfully structured iOS UI kit for Illustrator and Sketch. 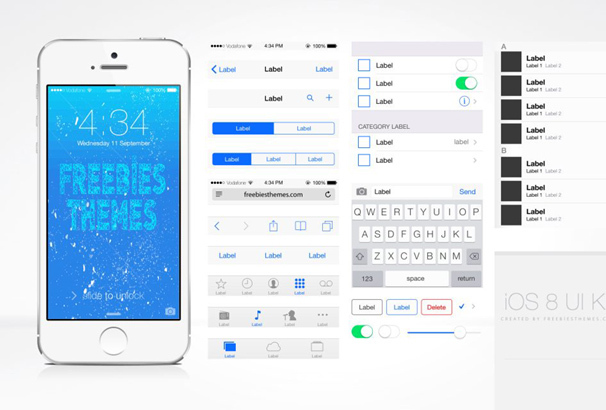 You can create the best iOS mockups easily with this UI kit. 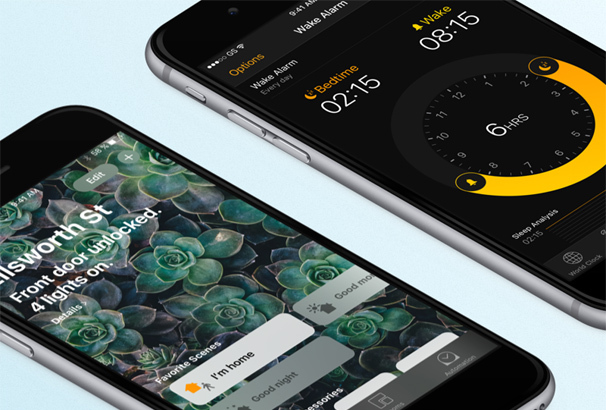 The designer Oz Pinhas created a Complete UI for iPhone 5, 6 and 6 Plus. It contains tons for features like photo pickers and new date pickers, 3d touch, spotlight search and much more. All things are ready there, just a few clicks away to use. The package includes all elements and ready for iPhone 5, 6 and 6 Plus! 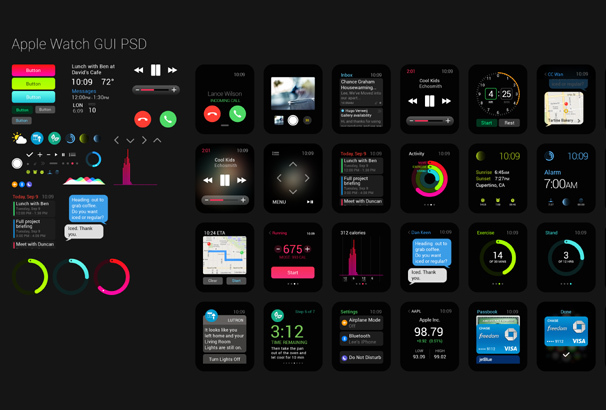 Apple UI Kits – A photoshop template of over 30 screens of Apple watch design. The package contains only PSD files, but it will help you designing beautiful Apple Watch apps faster and better. Created and released by Impekable. 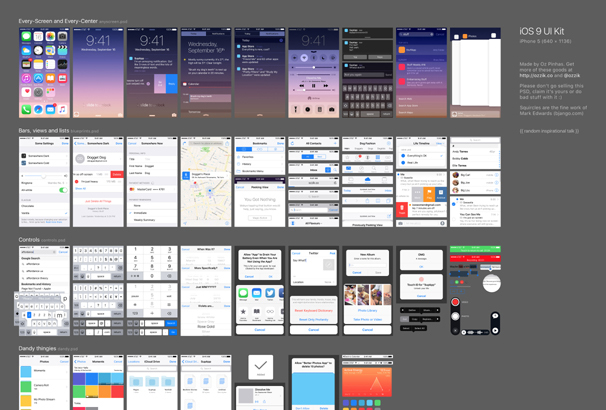 You can Use this collection of elements and screens to simplify your design process, mocking up apps faster based on Apple’s design principles. Keep these files always on hand. The package contains 62 screens and in 2 different resolutions. Feel free to download it and use it at your pleasure. You’re getting Sketch, Photoshop, Figma, XD and Craft templates of GUI elements in this package. So you can use this GUI with each tool. It comes in 2 different resolutions and contains the stuff you use the most when designing for iOS. This iOS 10 GUI user interface entirely in vector form in Photoshop and Sketch. It will help you to design and easily test your new apps. It comes with easy to understand labels so this package is useful for designers to show off their new app icon. It also contains features like messages, inbox, control center, notification center, 3D touch, maps and much more. A great set of UI elements for Sketch. It will help to design iOS apps for iPhone. You’re getting 104 well-organized elements, total 80 icons, and 11 demo screens. This is especially helpful when you are doing some quick idea explorations or creating wireframes on your projects. The template files are very flexible so you can mock-up both iPhone and iPad apps with the same set of components. This is another great collection of screens, apps, icons, effects for iOS. In this package, all the UI elements use sketch’s symbols so you can easily customize and reuse as your needs. Start designing for iOS 10 with the all new widgets and notification templates. 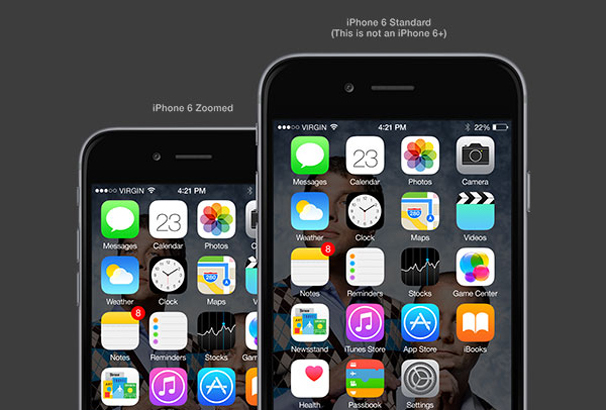 This iOS 9 UI Kit respects the latest Apple guidelines and was carefully compared against the newest screenshots. You’re getting 100% vector including devices, icons and keyboard and much more. The intention of this file is to help you to design iPhone apps within very short time. 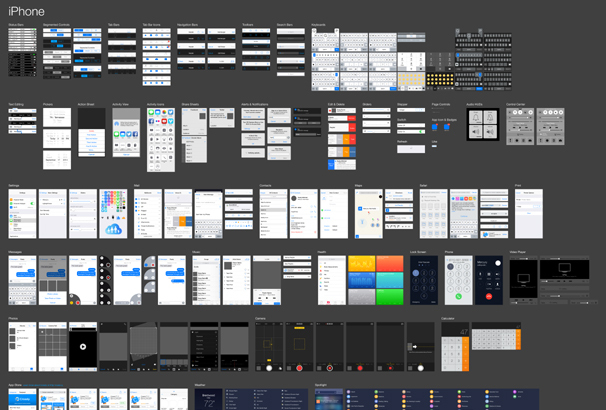 You can design and build amazing apps by using this UI kit. It’s obviously cool if you want to build out apps that do similar things to this file. Mango UI Kit contains great quality templates to design iOS application. You’re getting 80+ pre-made templates in this package. All designs are 100% HD Retina compatible for iPhone 5S, iPhone 6 and iPhone 6 Plus. This kit is 100% vector. So you can resize and adjust any element without losing any quality. The iOS 8 GUI PSD UI Kit contains well organized, labeled and layered PSD and you are allowed to customize all those files as your needs. Feel free to download it and use it for a commercial or personal purpose. This awesome GUI pack contains all main UI components and it is Retina ready @2x. This GUI kit is free to download and created by Vasil Enchev. 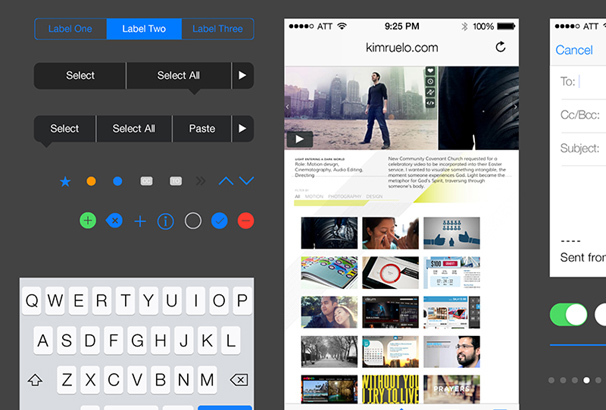 If you are looking for fully editable GUI content views for iOS 7 then you must have a look at this GUI kit. 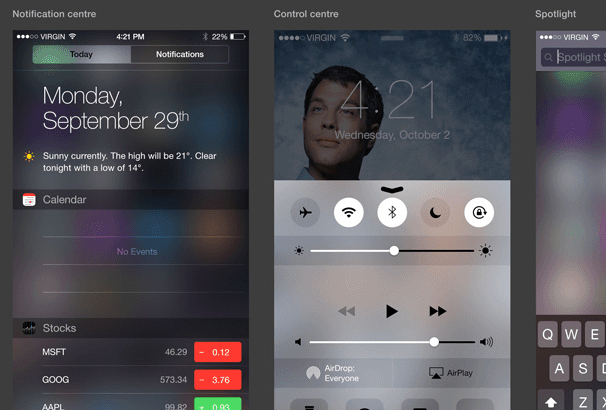 This iOS 7 GUI Content View Templates was designed by Erica Jaclyn Stein. Apple introduced the iOS 8 in the last year. 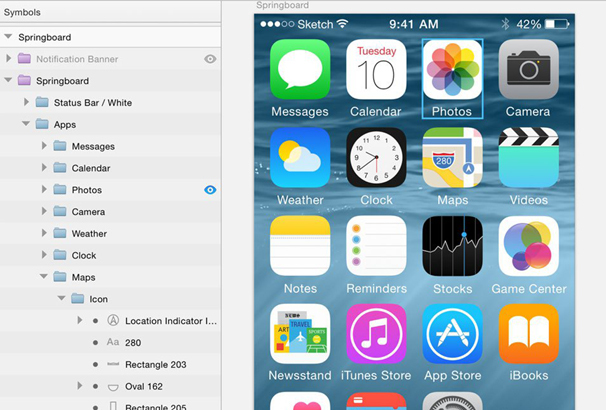 You can download the iOS 8 Operating Systems free of charge in PSD format. 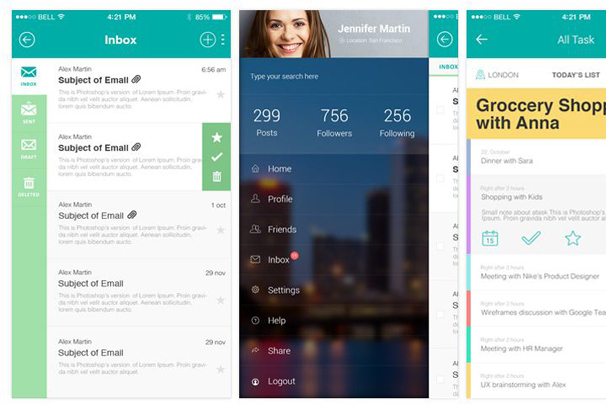 You’re getting a massive set of UI Elements for iPhone & iPad in this freebie pack. This UI kit contains pixel-perfect elements, so all assets are sharp and clean. This includes using 1px tall/wide boxes rather than strokes for dividing lines and turning on raster view when redrawing icons to make sure things are as accurate as possible. All the files in this freebie are easily editable and available in PSD files. 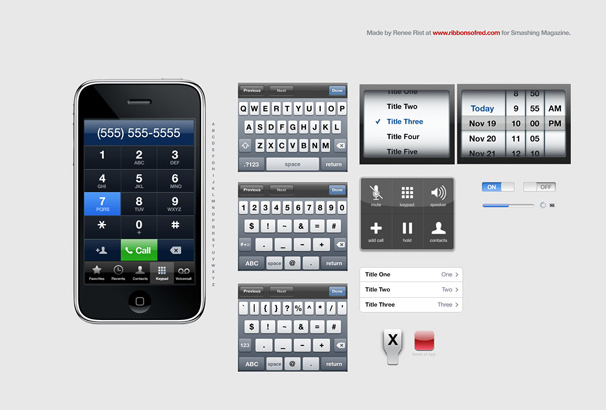 Vector UI Kit for iOS 8 was designed by Rusty Mitchell. 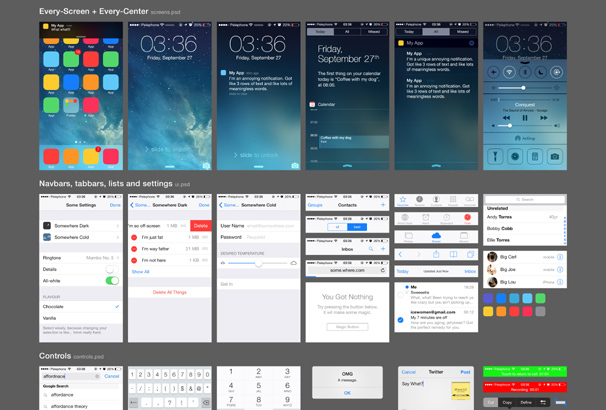 The best iOS 8 UI kits and templates to help you on the road to designing your next iOS8 app. This beautiful message UI pack was created in Adobe Illustrator. 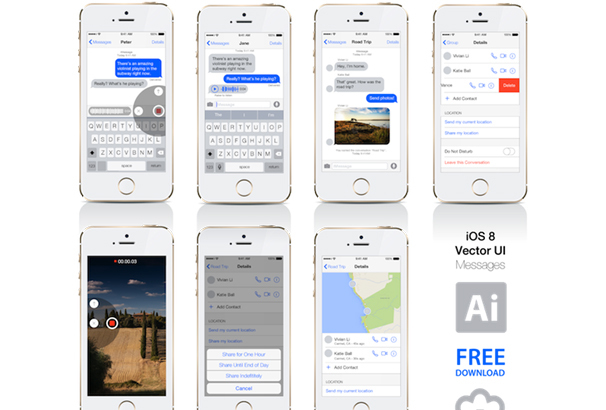 By using this vector messages UI kit you can create beautiful iOS 8 apps within very short time. 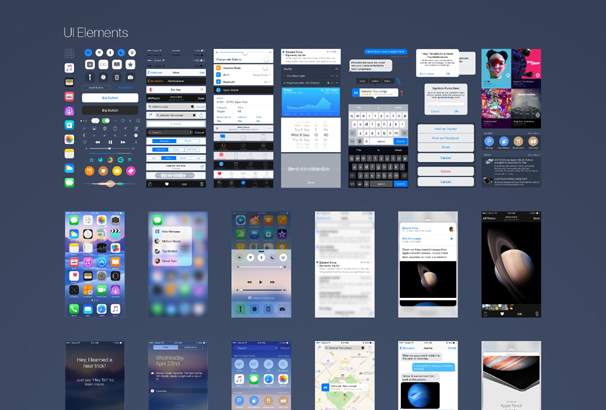 This is another extended and updated iOS8 UI kit for Sketch. Every single element was made using sketch so you can edit everything that fits your needs. This freebie was designed by Rafael condo. In this package, you’re getting 3 editable iPhone mockup screens and you can design icons for your apps. The home screens are fully editable and 2400×2000 pixels resolution at 300 dpi. This freebie also contains organized layers and folders. 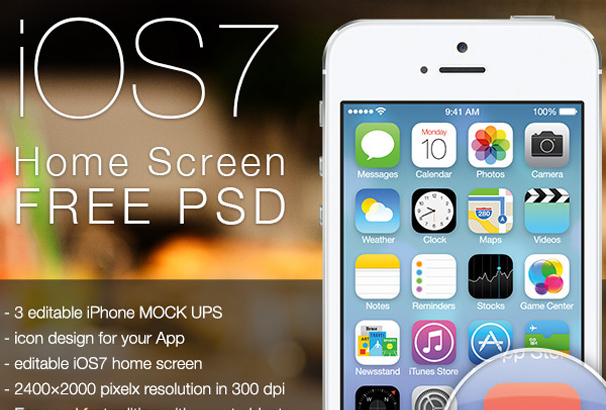 Start designing iOS 7 apps today with this comprehensive GUI kit for Photoshop. 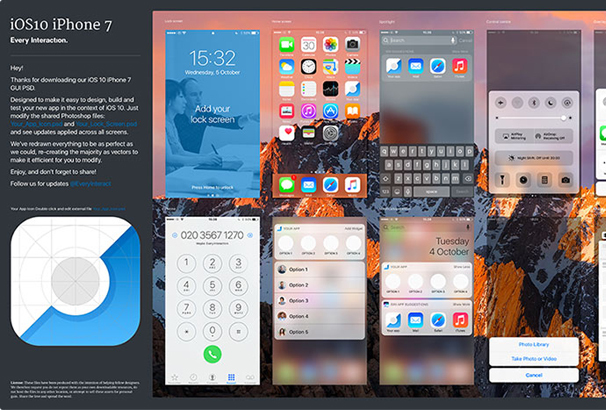 The iOS 7 UI Kit is a great PSD file to add to your collection of UI kits. This beautiful UI kit designed by Oz Pinhas. This iPhone 5 GUI v2 contains lots of features such as Status Bar (Gray), Title Bar (Blue or Black), Title Bar buttons, Icon bar, Safari TextBox, Safari Radio Buttons, Safari Pulldown Menu, Arrow Icons, Checkmark & Safari check boxes, Switches, Buttons & Selectors, Notifications, Keyboard. Created by James Noble. An awesome iPhone PSD Vector GUI Kit set that comes with several button elements as well as six different iPhone interface options. This pack is very useful both for mobile developers and front-end designers. You can create professional mockup by using this UI set. Created by the smashing editorial. This freebie pack was created by Viktor Hanáček. You can customize it with new lights and retro effects. You’re getting total 33 files with 3000×2000 pixels resolution. All PSD is easy to customize and you can freely use it for both your personal and commercial projects, including software, online services, templates, and themes. Thankyou for listing all these mockup templates – very useful! En yenilikçi dijital pazarlama stratejisidir. Sitenizin sektörünüzdeki kelimelerde ilk sayfalarda yer almasını daha fazla müşteri ve ziyaretçi (Bknz. Bursa Seo )elde etmenizi sağlayan yatırım maliyeti minimum ve ticari geri dönüşü maximum dijital bir stratejidir.